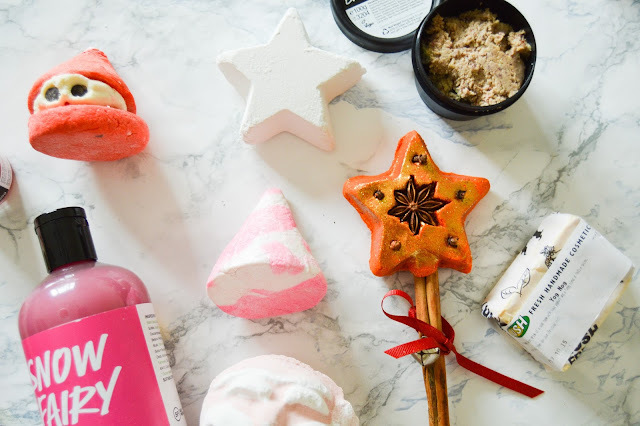 As some of you might have seen, I attended the Lush Chester Halloween and Christmas Blogger Event a few weeks ago. I'd seen sneak previews of products online and went to the event with a huge 'to buy' list before we even had product demos. Seeing the products being used actually expanded my list. We were kindly gifted some items as well, noted with a (*), so here is what I picked up. I'll start with my long-term favourites, Butterbear Bath Bomb* and Snow Fairy Shower Gel. At the event, we had the opportunity to create our own Butterbear, using moulds and adding a touch of brown powder to create his button nose. This is my favourite bath bomb, it has conditioning shea butter in and a lovely powdery relaxing scent. Of course, I had to stock up on Snow Fairy Shower Gel! It's a favourite of many beauty bloggers, I think everyone falls in love with it's girly sugary scent. I have a large bottle and a little one which will last me up until Christmas. I normally bulk buy at the end of December, as this beauty is limited edition and I can't be without it! If you love Snow Fairy, you'll love Father Christmas Bath Bomb, he has the exact same scent! You'll also enjoy Candy Mountain, the one that looks like a pink and white unicorn horn. Star Dust is another product I adore, this one has tiny little stars inside to create a magical bath. I would fully recommend buying these to use on the lead up to Christmas! The jolly red fellow also features in the Dashing Santa Bath Bomb*, Peeping Santa Bubble Bar and his red outfit is reflected in the Santa's Lip Scrub*. The ladies in-store told me that the Dashing Santa* has fast fizzing parts in his feet and hands that make him spin quickly in the bath, so he dashes across the water! Peeping Santa is incredibly cute, he has a wonderful strawberry scent, perfect for those who don't like the usual warming Christmas scents. Speaking of wonderful scents, the Santa's Lip Scrub* smells just like cola bottles and it's edible! Sparkly Pumpkin Bubble Bar* and The Magic of Christmas Bubble Bar are in the same family of fragrances, both using warming cinnamon and zingy orange. These will be ideal for those evenings where you come in from the cold and need warming up quickly. Two products I've not heard much about before are the Yog Nog Soap* and Buche Noel Cleanser*. Away from bath bombs and shower gels, Lush has a fantastic range of soaps, skincare and haircare. These two products have scents that are synonymous with Christmas, the soap has a toffee/cinder scent and the cleanser has a cranberry and brandy rich fragrance. I'm excited to try both out. That was quite a haul! I can't thank Lush enough for the gifts, I'm looking forward to all the baths I'll enjoy up until Christmas. 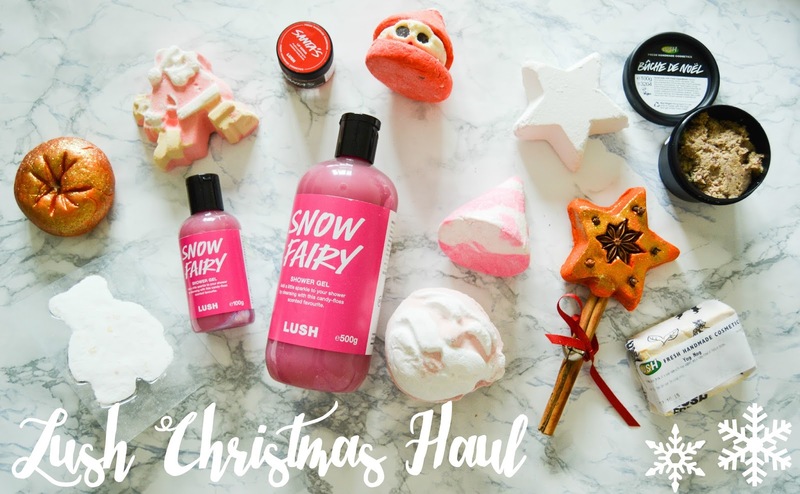 Have you purchased anything from the Christmas Lush range? 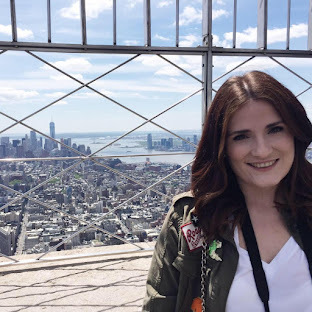 Do you follow Cherries in the Snow on Bloglovin?